Stir all ingredients until soft dough forms. Drop dough into 6 mounds onto ungreased cookie sheet. Bake 10 to 12 minutes or until light golden brown. Serve warm. 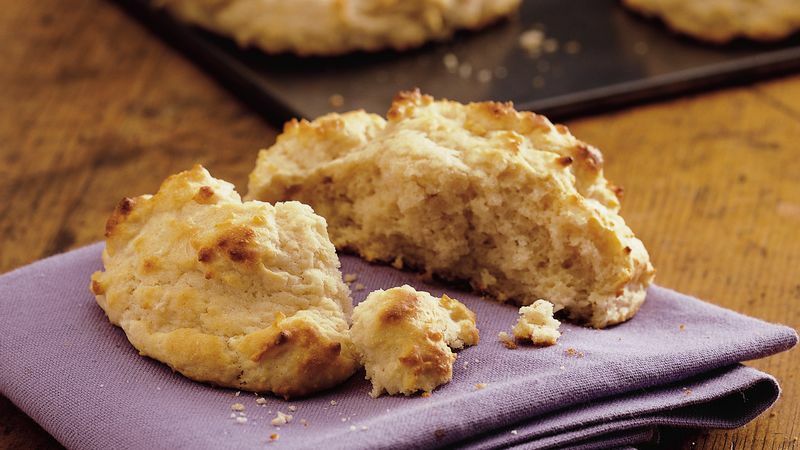 There’s so much flavor in these moist, tender biscuits that you won’t need a high-fat spread. They taste heavenly even without butter or margarine. For soft biscuits, place the dough close together on the baking sheet. If you like your biscuits crusty, be sure to space dough about 1 inch apart.